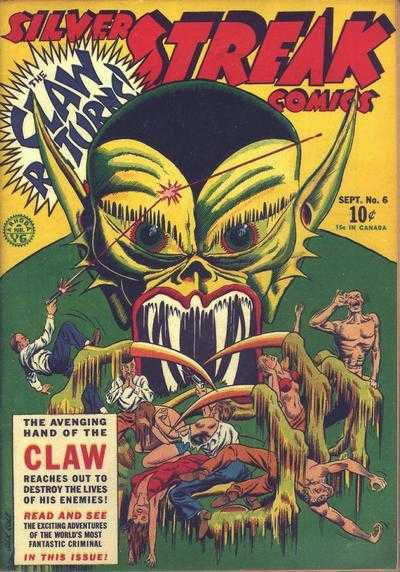 Jack Cole cover featuring the claw. 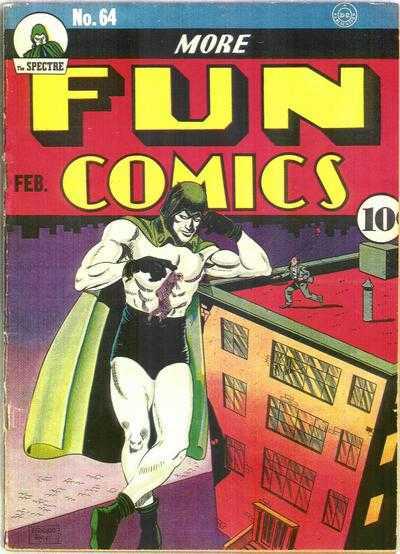 Also happens to be the first appearance of Daredevil (The Golden Age version…). Not a common book though lots of reprints available for those without a few grand to spend on a low grade copy. 22 Universal copies with an average grade of 4.87. 2 9.4 examples at the top of the chart with a single 1.5 at the bottom. Another excellent Bernard Baily Spectre cover. Though it can be argued that every Specter cover is classic, there are a few that stand above the rest, this being one of them. As with all Specter More Fun issues, not easy to find, they are out there, but even low grade copies command big bucks. 10 Copies on the CGC census, a single 9.4 at the top a single 1.5 at the bottom with an average grade of 6.41. Always love the Specter covers. Thanks for the peek! Love the creepy goodness of that Silver Streak cover!